Lenovo Moto With Play, with aluminum frame and glass casing, hides a battery with a capacity of 3510 mAh and vitality aimed to guarantee up to 50 hours. work. At a time when the energy used batteries in your smartphone, it offers charging TurboPower, where 15 minutes charging is sufficient for another 9 hours. work phone. In addition, the smartphone comes with Android 6.0.1 Marshmallow, 5.5-inch Full HD Super AMOLED display, octa-processor Qualcomm Snapdragon 625 2.0 GHz, 3 GB of RAM, 32 GB of memory internal fingerprint reader, LTE connectivity, USB type C, a main camera 16 megapixel with laser autofocus and a front camera with a resolution of 5 megapixels with wide angle lens and additional LED illuminate the LED. Lenovo Moto With Play will be available worldwide from September 2016. at a price of 499 euros. 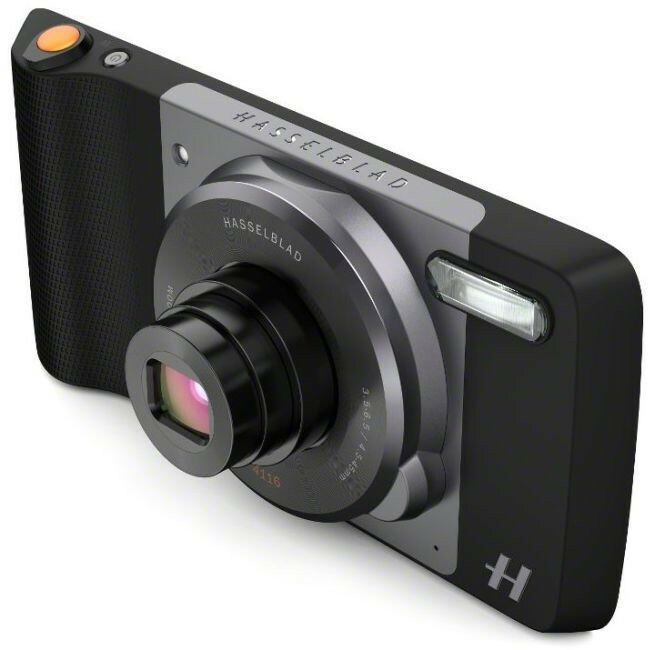 Moto Mod Hasselblad True Zoom, created as a result of a collaboration with the photographic Hasselblad offers a 10x optical zoom and xenon flash and can record images in RAW format. In addition, users Moto Mod Hasselblad True Zoom receive free access to the software, Phocus Hasselblad to streamline the editing process, and – for two years – to Google Photos with automatic backup gathered materials and unlimited storage of images. 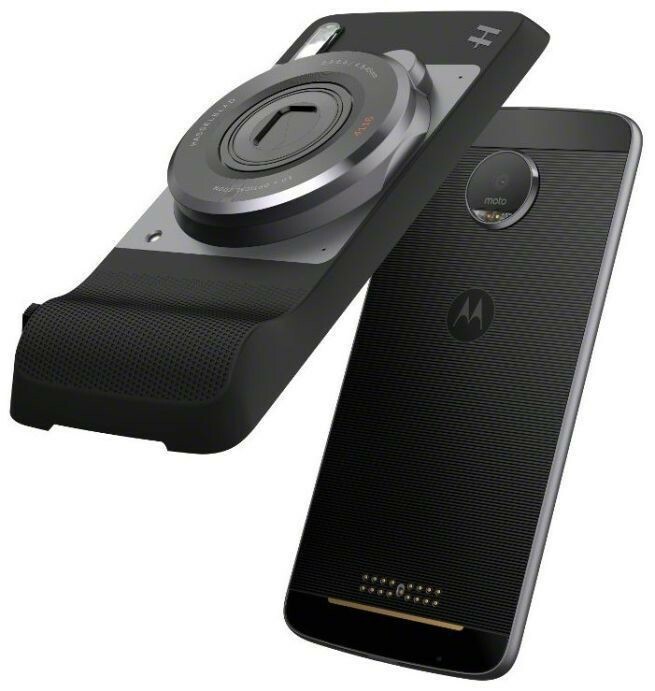 Moto Mod Hasselblad True Zoom will be available from September 2016., with its availability may vary in different countries (in Poland in the fourth quarter.). In Europe, the price of the product in retail will be approx. 299 euros. Ecosystem Lenovo Moto now includes 3 models of smartphones (Lenovo Moto Z, Moto Z Force, Moto With Play) and 5 modules (JBL SoundBoost, Insta -Share Projector, Power Pack – several variants, Style Shells – many variants, Hasselblad True Zoom).